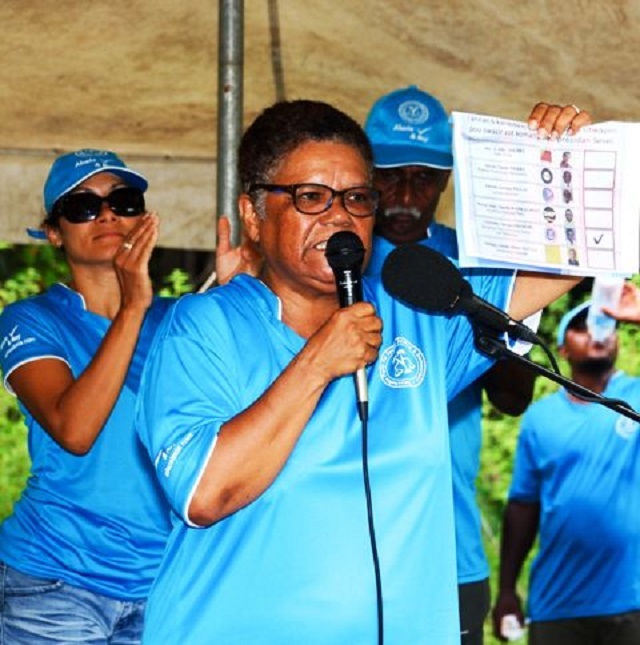 (Seychelles News Agency) - Seychellois lawyer and politician Alexia Amesbury is aiming for a post on the soon to be set-up Truth, Reconciliation and National Unity Committee. 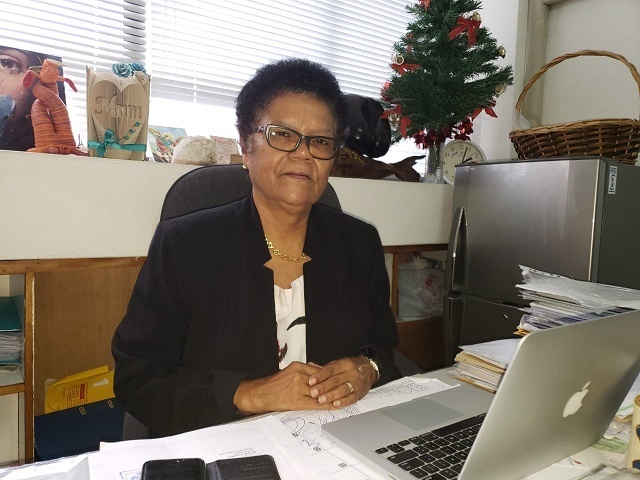 Amesbury, 67, was the first Seychellois woman to contest a presidential election in Seychelles in 2015 after setting up the Seychelles Party for Social Justice and Democracy (SPSD). She later joined the Linyon Demokratik Seselwa (LDS) in a coalition to contest for the National Assembly election in 2016, where the opposition won the majority of seats. SNA caught up with Amesbury to learn more about her political career and her future plans. SNA: Tell us how and when did your interest in politics start? AA: During 1991, I was in the United Kingdom (UK) doing my Master’s degree in Human Rights. It was there that for the first time I went into a library and was able to get access to the new 1979 constitution of Seychelles, approved through a referendum. I saw in the constitution that there were no fundamental human rights. There was only a preamble. I later stumbled across a leaflet derived from the then opposition party -- Parti Seselwa. The content of the leaflet triggered something in me politically. The idea of me going back to my country to give a helping hand never escaped me. I felt that I needed to help change the political scene, which was at the time a socialist one-party state. Feeling enthused I sat down and started preparing myself for the leap. The biggest way in was to have people listen to you. My message and battle cry centred on human rights itself. I knew that this subject was going to tick man’s blood and get people thinking. I wanted to make the country better. SNA: You have a background in human rights. Why didn’t you concentrate on helping set up a Human Rights Commission when you first return to Seychelles? AA: At the time I never felt that the country was ready for it. In my opinion, I feel that a law must be as good as the person enforcing it. In that same angle, I have always felt that a commission is as credible as the people appointed to make it work. Unfortunately, we did not have the capable people at that time with appropriate know-how. When the new Human Rights Commission came into being last year, I thought that this one, I will be able to contribute to it. I applied for a post to be told later that I am an active political leader and the law governing the commission will not allow me the position I have sought for unless I resign as leader of my party and stay out of politics for one year. I took the next step and challenged the law. The part of the law that said that me being out of politics for one year is unjust and violated my rights to equal protection. In the meantime, I heard that there was a bigger challenge on the Committee on Truth, Reconciliation and National Unity. I withdraw my application from the commission and vied for a post as chairperson on the committee. The interesting thing is that as the case reached an end, I realised I had partly lost and partly won. What I did not expect is that now the President and the Attorney General have appealed against that part of the judgment. If the Court of Appeal says that me staying out of politics for one year before applying is constitutional, then I will go back to square one. It will mean that I have resigned from the party for nothing. I feel that this has been a vicious and a dirty game to get at me. SNA: When you had to resign, was it difficult to choose between your political career and the Commission? AA: The thing is I did not choose a political career to gain something out of it. Aside from the experience, I gained nothing from politics. In fact, the only thing I got was victimisation and bad mouthing. At the end of the day, it is not a matter of choice. Once you take the political route there is no getting out really and choosing does not become an option. Yet again, if the Court of Appeal rules that the one year is constitutional, it will leave the door open for me to get back as the leader of Seychelles Party for Social Justice and Democracy. SNA: How do you see the whole aspect of human rights in the Seychelles given the recent cases of human trafficking and illegal foreign workers? AA: I have given some advice in regards to the issue of foreign workers. I can tell this loud and clear that every employer in Seychelles is violating article 35 of the constitution which says that the state shall ensure that you get equal pay for equal work. We don’t have that in Seychelles. Expatriates are getting twice as much as the Seychellois. With regards to foreign workers, gruelling as it may sound, the state says that the minimum pay before tax is SCR 8,500, then why is it that foreign workers in the labour force are paying 15 percent on the minimum pay? At the end of the day who is the biggest human trafficker? It is the government itself. They put in place policies that allow these abuses to take place. SNA: What importance do you think the Committee on Truth, Reconciliation and National Unity has for a country like Seychelles? AA: Again throughout my political campaign my passion and vision were to heal the nation from the ordeal of the past. The only way in my view that this could be made possible is if we take the approach of reconciliation, truth and national unity. The truth will set you free and through forgiveness, we can heal the nation. This has been in my manifesto. SNA: Going back to your political party, why did you set it up and what have been the major achievements? AA: Looking back at the political situation, I did not know if the Seychelles National Party (SNP) was going to contest the last election since they boycotted the previous one. So my idea was to give the people a choice if ever they did not want to vote for the party in power. I am proud of the achievements we have made as a political party. However, in order to know all about the achievements one needs to look at my manifesto. I have talked about decriminalization of the drug issue as it is a health problem. Today the government is giving methadone as part of a detox programme. Everyone now is talking about social justice and I have talked about poverty. Today we have a secretariat for poverty. It has become a national issue. Daringly, these are the things I pushed forward even if it was still taboo. We have been a small party, but we have been able to move mountains. SNA: Has it been easy for you as a woman to lead a political party? AA: As a woman in politics I have had a lot of support. The greatest challenge has been to change the mindset of the people. We need to look at people as people, but not by their political affiliation. The good thing is that I have been able to learn what power can do to people. Power corrupts. People you think you know, that you have dealt with, as soon as they get to a position of power, they change dramatically. Today they are unrecognisable and they are the one stomping on you. I am seeing it and living through it. SNA: Do you think that you leave your party in capable hands? AA: Stepping down, I know that I leave the party in capable hands to continuously fight for democracy and justice. I know that the work we have done together, and the values the party stand for, will continue long after me. There will be new members coming forward too. SNA: What about the Linyon Demokratik Seselwa (LDS) coalition your party is part of? AA: LDS was not made up by me as a person. It was a meeting of different political parties joined for a common objective. When we came together, it was not for us to stay together forever. It was to stay together until we have attained our objective and this was to remove Parti Lepep in power.